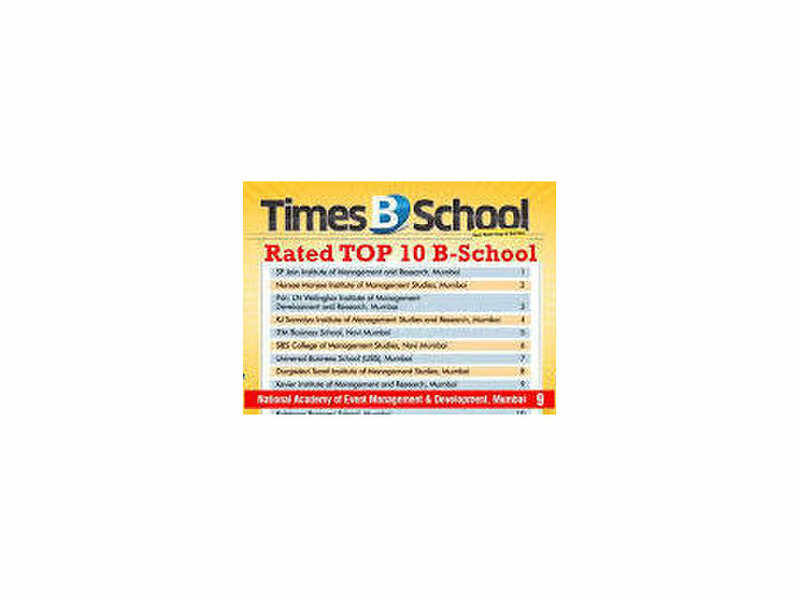 National Academy is an esteemed name amongst leading educational groups in India. 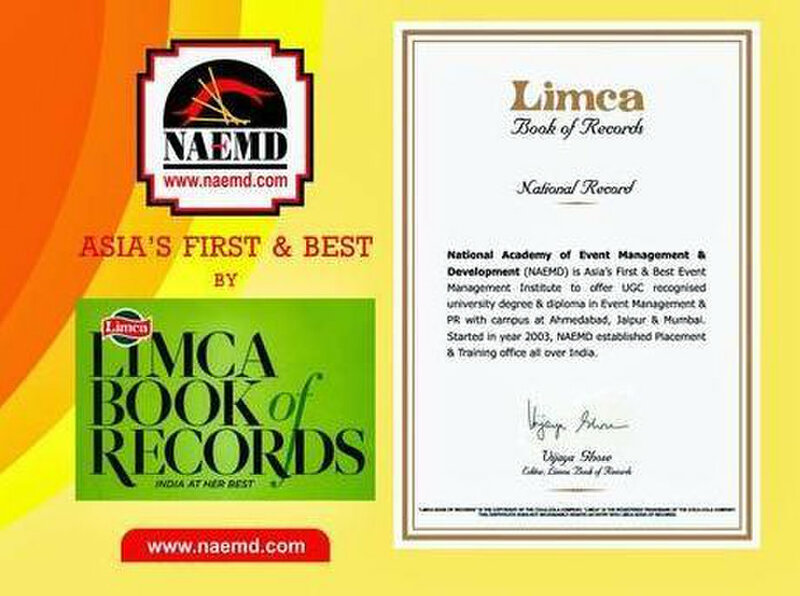 Starting its journey in the year 2000, National Academy has today spread its wings and played a pioneering role in setting up premier Institutes like National Academy of Event Management & Development (NAEMD), National Academy of Sports Management (NASM), National Academy of Films, Media & Communication (NAFMC) and National Academy of Science & Creative Arts (NASCA), with campuses spread across Mumbai, Delhi, Ahmedabad and Jaipur. With an objective of offering world-class educational opportunities, the National Academy team has always strived to foster a unique learning environment for aspiring students thereby helping them develop and master the new-age and futuristic leadership skills. National Academy of Event Management & Development an incredibly specialized Event Management Educator, has been offering its services to the Industry for more than a decade. NAEMD was primarily formed with the objective of sharing the knowledge and experience by providing training in the field of Event Management & Public Relations. National Academy looks forward to assisting all its students in achieving their educational goals and preparing them for the challenges ahead. Our Vision is to nurture our students, expose them to some of the most real-time complex situations and offer them a distinctive platform to learn the smart ways of management. We believe that to excel and to become a world-class Event Management & Development Academy, we need to make every effort to constantly research, upgrade and adopt the fine ways of imparting knowledge. 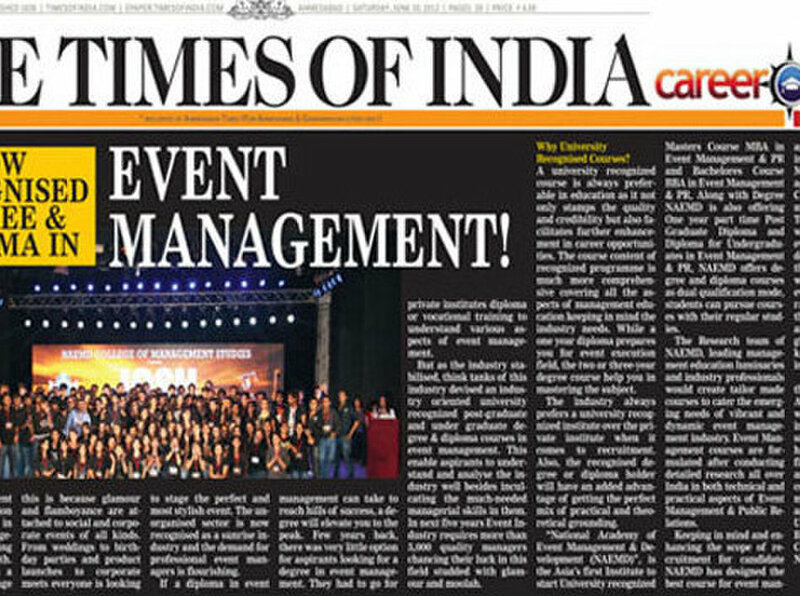 Our Mission is to provide premier and comprehensive education in the field of Event Management & Public Relations. We intent to, transform one’s proficiency of managing National & International Events. Our purpose is to cater to the ever-increasing & roaring requirement of Professional Event Managers at-large possessing highly Rich Academics combined with Practical Experience of dealing with situations in an innovative and effective manner.